Cathy's Home Buying Tip #10...The first thing to do when you go under contract. 1.) Your first contingency to get out of the contract rests on what you find out in your home inspection. You want to know if there is anything that would want to make you RUN from this property. 2.) You need to choose a home inspector (your agent should be able to provide you with several suggestions), schedule the appointment through that inspector and be available to attend the actual home inspection. A normal home inspection should take anywhere from 1 1/2 - 2 1/2 hours to complete. 3.) 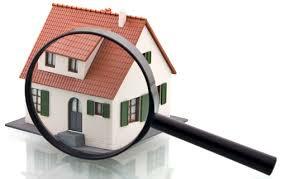 The inspector will provide you with a summary report of the findings, along with photos to show any issues. Most of this information you will already know since you were present during the actual home inspection. 4.) Ask the inspector any questions you have about your new home so that you feel comfortable with items such as where the water main shut off valve is and what type of furnace you have. As you can see, the home inspection is a main event for any home buyer, especially for First Time Home Buyers, and you should not concern yourself with anything else regarding this property until you feel comfortable with the findings, or have settled with the seller to repair any items of concern before closing. Northern KY Homes for Sale - Cathy Miles with Key House Realty, Florence, KY.